The Eau Claire Area Chamber of Commerce welcomes community members to the 22nd annual Breakfast in the Valley. Multitudes of delicious breakfast foods, including eggs served on four-foot griddles crafted by students of the Chippewa Valley Technical College, will be prepared and served by hundreds of volunteers from local businesses as the exposition center showcases the best of the best in the Eau Claire area. Almost every breakfast food under the sun will be available. Just think about the scrambled eggs, muffins, steaming cups of coffee, corn flakes with Culver’s custard and strawberries, and, of course, cheese curds. Accompanying the tasty food will be agricultural and business product displays, farm animals, door prize drawings, antique tractors, and an informational showcase from Strauch Farms. But that’s not all! Outstanding members of the community will receive the Friend of Agriculture Award and the Conservation Farmer Award. 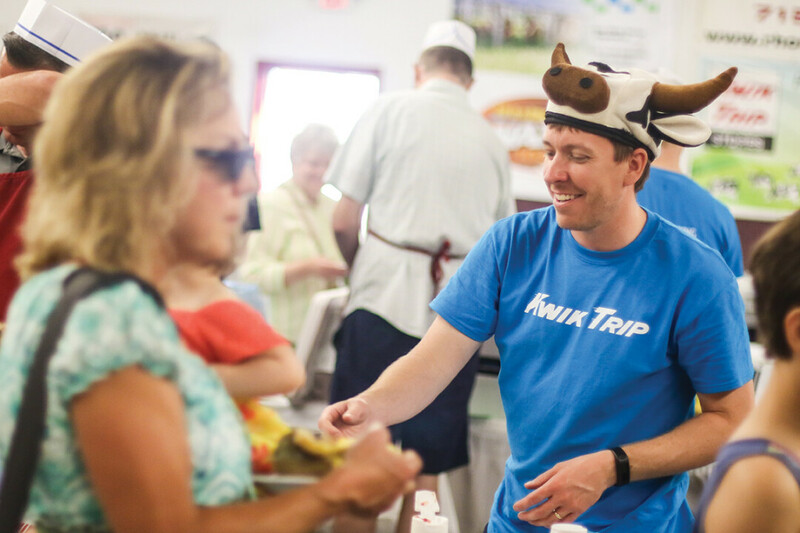 This star-studded affair boasts a milk-drinking contest featuring local celebrities and a visit from the newly crowned Alice in Dairyland and Fairest of the Fair. The Eau Claire Energy Cooperative will give out commemorative Breakfast in the Valley mugs to the first 2,700 hungry patrons, the early birds will get something better than a worm! There’s something for everyone at this early morning culinary extravaganza.